Many books have been written on conservative politics. Many more have been written calling Christians to holiness and spiritual renewal. Very few, however, have managed to combine a clear explanation of the conservative political perspective with its corresponding personal and spiritual virtue. 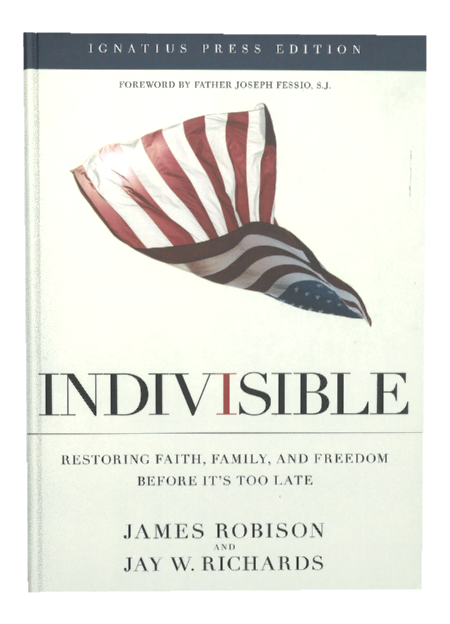 In Indivisible, Jay Richards and James Robison tackle tough moral and political issues facing Christians today, including abortion, stem cell research, marriage, education, economics, health care, the environment, judicial activism, terrorism, free trade and more. Written to appeal to a broad spectrum of believers, Indivisible provides simple, clear arguments that Christians can use to support their beliefs in public settings. We can restore our culture and revive our economy, but everyone must play a part. Indivisible lays bare what we must know, what we must do, and how we can do it. Before it’s too late.